Kent Miller of the Swiss Bluegrass Music Association (SBMA) reports that bluegrass activities in Switzerland are already picking up to match the developing spring, with all the local club activities: jams, get-togethers and smaller concerts. Monroe Crossing visited in February; future visiting US bands include Cherryholmes (see photo) who will play at the Albisgütli Country Music Festival at Zurich on 10 and 11 March, and will officially disband in May. They will be supported by Rüdiger Helbig (D) and G-Runs 'n Roses (CZ). 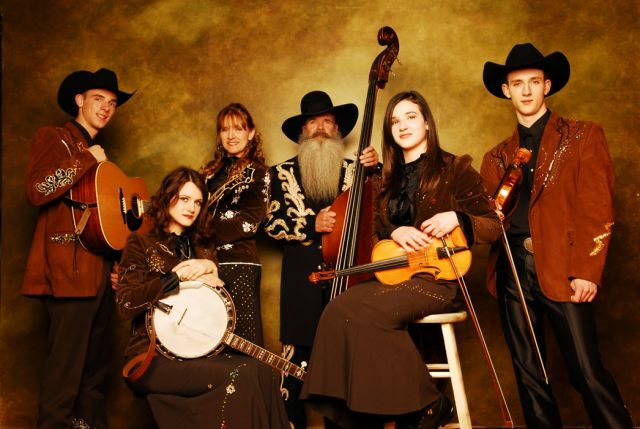 The Spring Bluegrass Festival Willisau on 28 May will present Valerie Smith & Liberty Pike with Becky Buller, Special Consensus, and a great lineup of European bands. See the SBMA website for dates and details. There are also quite a few things going on that we could call on-the-edge of bluegrass, so we are looking forward to enjoying a lot of live music even before the outdoor stuff begins. In that sense, stay warm. Read Kent's full report in the first issue of the new Bluegrass Europe magazine.